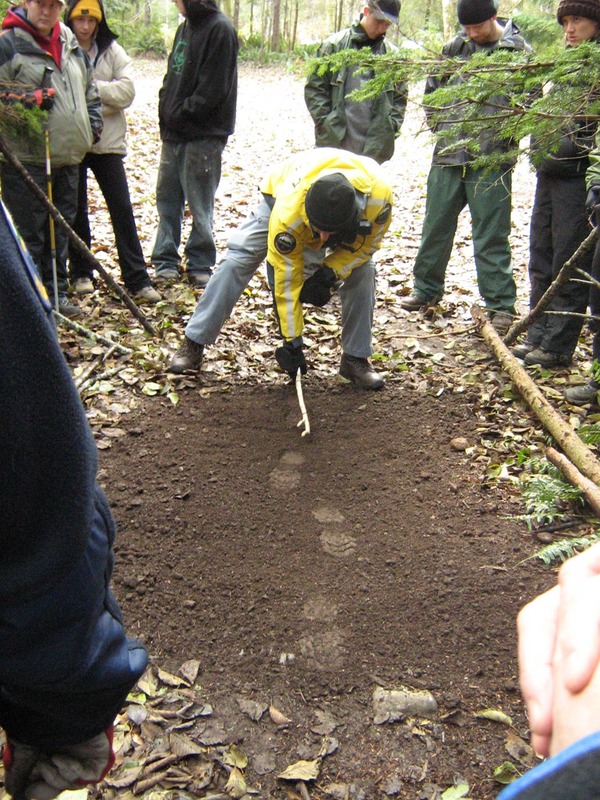 They have learned how to read the ground and the vegetation to be able to tell if someone has passed through the area. At the advanced level, our trackers are able to deduce the age and the directions of the tracks. They might be able to determine medical condition or mental condition of the missing person by reading the tracks. It takes approximately 60hr of training at each of the levels to advance to the next level. JDF SAR has members at each level and is lucky enough to have one of the few sign cutters in the province.